The client had an established cell line and a bench-scale manufacturing process for a complex glycoprotein that produced high quality material but had a low yield and was not scalable. With plans to move into clinical development, the challenge for AGC Biologics was to develop a robust, scalable manufacturing process for this molecule, including defining the glycosylation parameters, implementing AGC Biologics’ glycan assay, and meeting the client’s production level requirements. At the start of this project, AGC Biologics worked very closely with the client to define what high quality glycosylation would mean for this molecule. 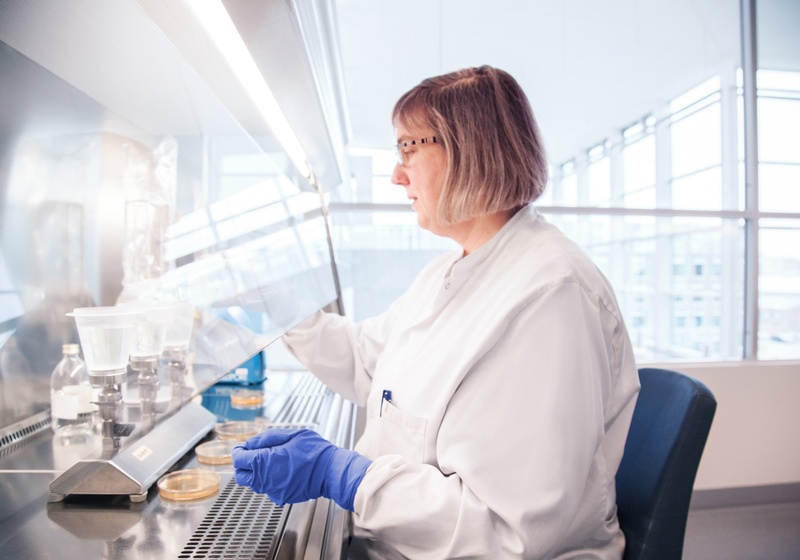 While many of our clients outsource glycan analysis, we are able to coordinate cell culture process development and analytical characterization – including glycan characterization – in house. This gives us greater insight and expertise into how glycosylation targets can be achieved, and reduces cost and time for our clients. Our ability to provide glycosylation quality assessments early in the development process helps to de-risk later Process Development steps, helping clients stay on time and on budget. After defining the glycosylation quality parameters, AGC Biologics undertook two shake flask studies and three bioreactor studies to optimize media, gassing strategy, and temperature shift. Samples from each condition were single-step purified and glycan and other quality attributes were determined. We reviewed the data from these studies with the client in order to identify the set of growth conditions that best balanced the goals for production level and glycosylation quality. Once the growth conditions were defined, we incorporated them into the development of a scalable manufacturing process. The client confirmed the pharmacokinetic properties of material produced with this process in relevant animal models. The client now has a robust process for producing high-quality material at scale that will support its plan to advance this molecule into clinical development. Importantly, the process can be scaled to meet future clinical and commercial needs if the early clinical trials look promising. With this process in place, AGC Biologics will provide manufacturing services for this molecule, providing material for our client’s non-clinical and toxicology IND-enabling studies, and material for clinical trials. This solution has positioned our client to achieve aggressive timelines for IND submission and clinical trial initiation.